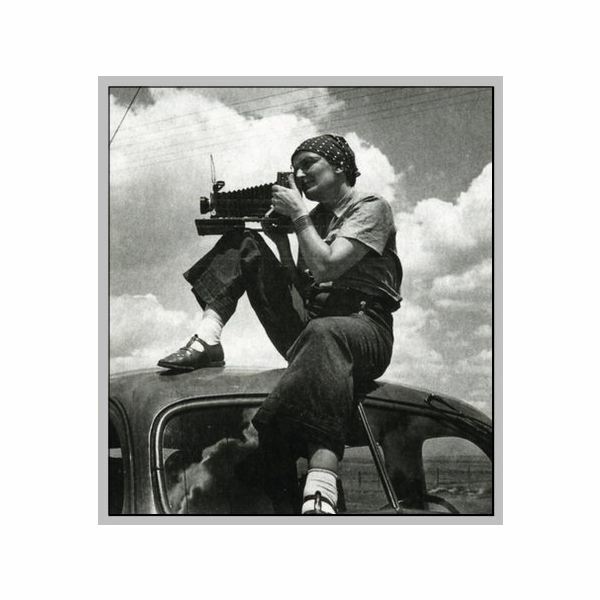 Dorothea Lange is one of the most famous photographers and influential photojournalists of her time, particularly for her works during the Great Depression. She is credited for capturing vivid photographs of the sufferings during the Great Depression and her contributions to the growth of documentary photography. Dorothea Lange was born in New Jersey in 1895. She had her share of tragedies early on in her life; her father abandoned their family when Dorothea was only 12 years old, making her drop her surname Nutzhorn in the process. At age seven, she contracted polio which weakened her right leg. Lange took up photography in New York City and learned the rudiments of the craft in various photography studios in New York. She relocated to San Francisco when she was 23 and a year after opened her very own photography studio. 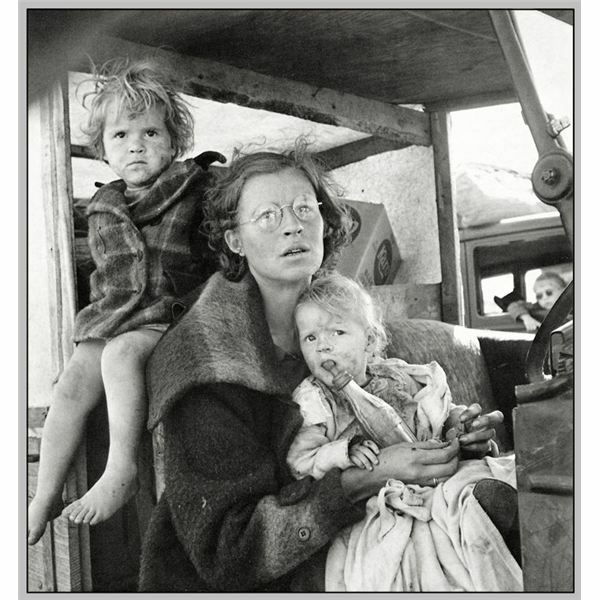 Any Dorothea Lange biography would indicate how she built a reputation for her photos of unemployed and homeless individuals during the Great Depression. Opting to go to the streets to capture the poverty at her time, she was employed by the Resettlement Administration. But it was her marriage with agricultural economist Paul Schuster Taylor that led her to become more aware of the various developments during their time. Lange was schooled by her husband on various political and social issues, and the couple went on to document poverty in the rural areas, as well as the exploitation of the migrant workers. With her husband focused on researching economic indicators, Lange was very much content on taking pictures. 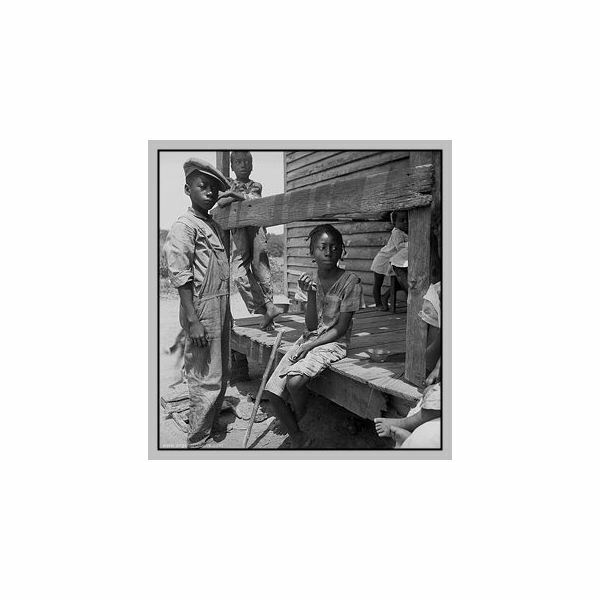 Lange’s photos taken in 1935 up to 1939 brought to national attention the plight of poor rural families like sharecroppers, farm families and migrant laborers. Her works appeared in newspapers across the United States, and her poignant photographs became iconic during a difficult era. 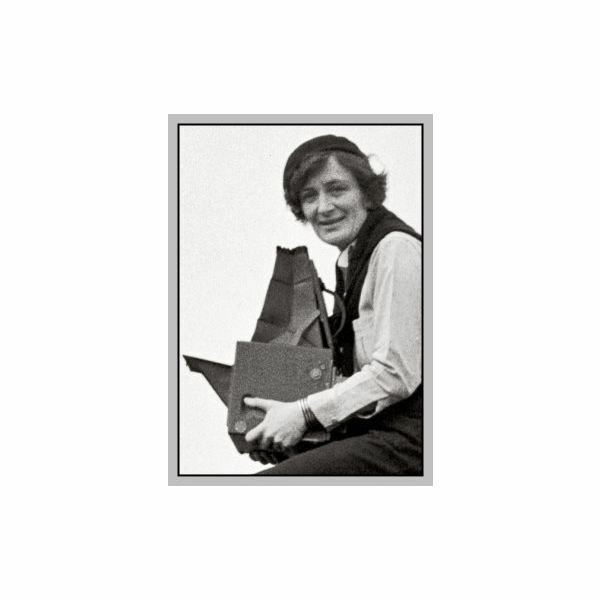 A Dorothea Lange biography will not be complete without discussing her popular works. 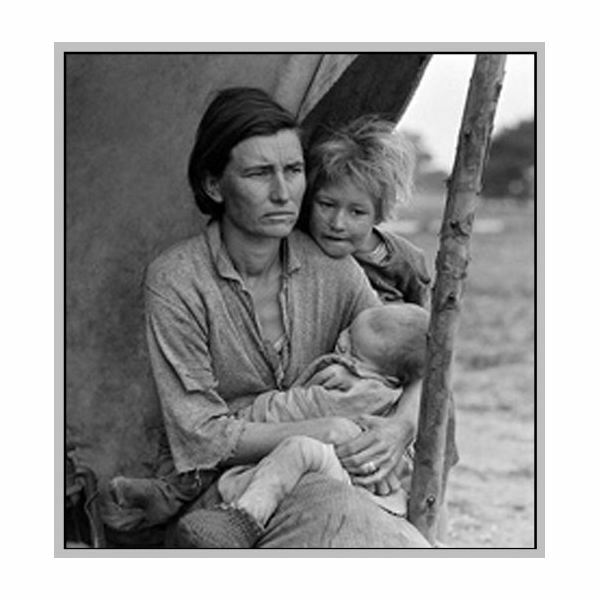 Perhaps the most popular picture taken by Lange is “Migrant Mother" which showed migrant worker Florence Owens Thompson and her two children leaning on her shoulders with their backs in front of the camera. 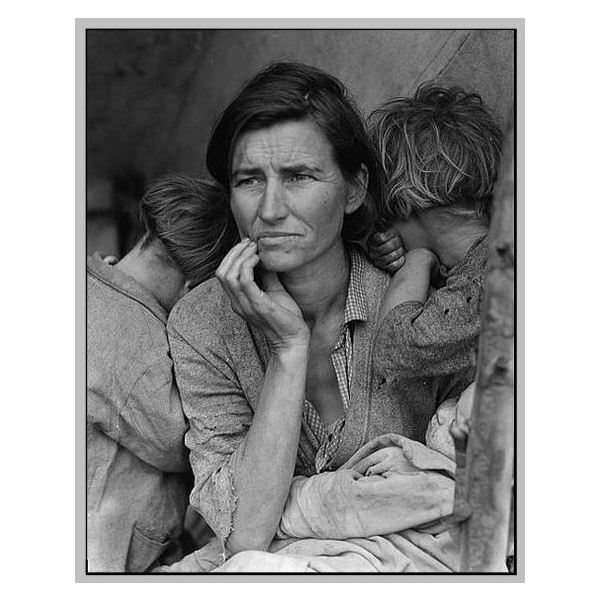 The photo was taken in 1936 and is considered as the most iconic image of the Great Depression era. The story went that Thompson had just sold tires of their car in order to buy food. The image depicted the difficulty that women and children underwent during that era. For her works, Lange was given the Guggenheim Fellowship Award in 1941. During World War II, Lange recorded various assignments like the relocation of Japanese Americans. Her photos were impounded by the Army due to their critical nature. These days her photographs are stored at the University of California, Berkeley. After the war, Lange taught at the California School of Fine Arts and founded a photographic publication called Aperture. On October 1965, Lange died from esophageal cancer.